Likely, you already have a presence on Instagram. 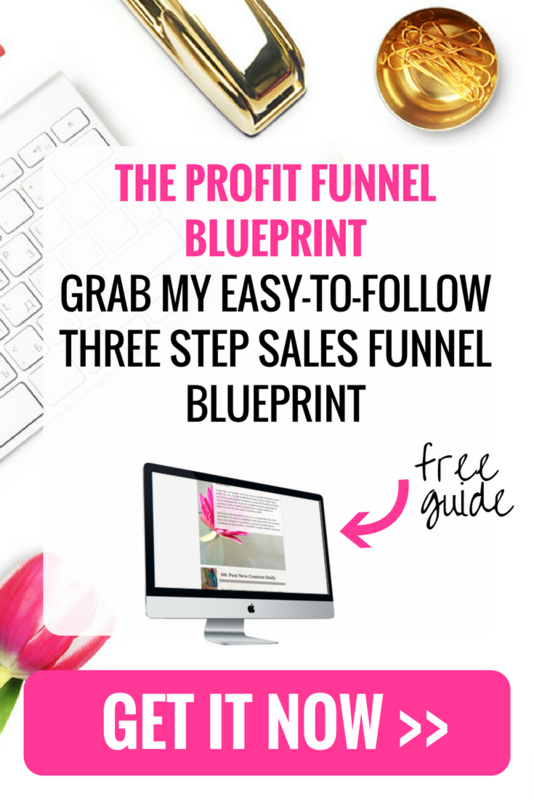 If you’re anything like I was when I first started using the platform, your growth has been slow going and your reach not quite multiplying in the way you see it happening for other businesses. It’s frustrating to be in this space. In fact, I know that feeling well. It took me one full year to grow my following on Instagram to 1000. But I was determined and focused. I observed and took action. I put in place some key strategies that took my Instagram (@shopcompliment) from 1000 to 17,000 the following year. These days, I’m adding an average of 1500 new followers per month and get 70% of my website traffic and conversions from Instagram. I’m selling five-figures month after month, and my Instagram strategy is a large part of that. I have no special photography or tech training under my belt. Just sheer will + an iPhone. There are some key things you can do to make sure your efforts on Instagram are giving you a solid ROI for your time– no matter your business. Here are four things you can start doing today to give you the foundation to start actually making money on Instagram. It is essential that, if you have an Instagram account, you post at least once a day to stay involved in the conversation. Posting consistently will keep you top of mind in your customers’ heads. Did you know that studies show that a potential customer has to interact with a brand a minimum of 7 times before ever taking action? The more you post, the quicker this will happen. I do suggest posting no more than 3 times per day, with your posts at least 3-4 hours between posts. Anything more frequent will just clog your followers’ feeds and get annoying. Ask yourself what your customer likes about your brand? Think about what is on her mind at the time of the day you’re posting. What does she talk about with her friends and where is she when she buys from you? Ask yourself: what are her dreams? What are her problems and how does your product solve them? When you write the captions of your photos, keep her in mind. Write directly to her. You’ll find that your engagement will grow authentically with people who are excited about what you’re putting out into the world. The number of followers you have is definitely important. Followers act like little votes of confidence and give your brand credibility. And because people do what they see other people do, the more followers you have, the more followers you will get. However, what good is a bunch of followers who don’t ever buy your stuff? (I’ll give you a hint: NO GOOD AT ALL.) Numbers aren’t everything. Engagement is what matters most. You build engagement by building relationships. By putting some key strategies into place (like the ones listed above) you can make sure that you are building trust and turning the followers you do have into raving fans and eventual customers. Melissa Camilleri is the Founder + Creative Director of Compliment. ‘Compliment’ is a gift brand Melissa launched from scratch in 2011, while she was working full-time as a high school English and AVID teacher. She credits Instagram for helping her grow her business from a production line on her dining room table to the socially-responsible corporation it is now. At the urging of her business-owner friends who wanted to replicate her marketing success, Melissa dusted off her teaching hat and created the 21-Day Insta-course to help others market their products, services, and brick and mortar shops and start making money on Instagram. Tens of thousands have attended her virtual courses, participated in her workshops, and studied under her guidance. She believes we rise by lifting others. She lives and loves in Northern California. Say hello to Melissa on Instagram @shopcompliment. 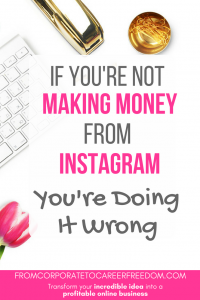 Want the step by step guide to making money on Instagram? 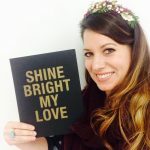 Melissa has currently opened up registration for her 21 day Instagram course, and you can grab the course now by clicking on the link below. The course is delivered daily, straight to your inbox, and it will give you actionable tasks each day that will grow your following of authentic, engaged customers. how to craft your bio so that people want to buy. discover how to communicate your brand values through images. how to engage your following through hashtags, direct messaging, comments, and geotags. what and when to post. how to find and collaborate with key influencers. plus how to find your ideal customer on Instagram. how to present your company in the best, most aesthetic way online. and how to manage your time on social media. an audio of each lesson so you can learn on the go. downloadable PDFs to accompany the lessons. 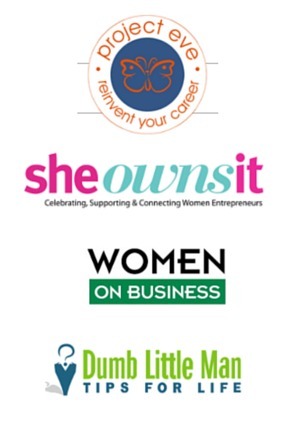 a directory of course participants so you can connect on Instagram and elsewhere online. FREE group coaching and collaboration with Melissa during the course. Register now for the 21-Day Insta-course with Melissa Camilleri of @shopcompliment and start making money on Instagram. Interesting read. I always liked the idea of making money through instagram but currently can’t seem to find anything interesting to post on a regular basis. Also struggling to get more followers because of that. I am from India …and want to do some different …. thank God for bringing me into your website.It is so helpful to me…and got “sorry” for myself for using IG wrongly. From now on, I’ll start using it beneficially. Warm greetings from the southern part of my country Philippines. That is some great tips. Instagram is so un-tapped now. I really like this info. I am going to grab your course. way to monetize on the talents. Provide advice that is strongly related your industry, it’ll make your reputation and credibility.